Google brought their 100% electric shuttle. Clemson International Center for Automotive Research (ICAR) drove 3 hours from Greenville to present their wireless charging research. One of Charleston's mayoral candidates (John Tecklenberg) attended. ISI Technology, the folks behind the Heatworks MODEL 1 digital, tankless water heater, were of the event sponsors. Our event was sort of spread out so it was a challenge to get a photo of everything going on. In this photo you can see the BMW dealership and the Baker Motors dealership represented there. We had several Chevy Volt car owners, Nissan Leaf car owners, Tesla Model S and Roadster car owners, one Smart car owner that came out at various times of the day. We also had the Google Electric Shuttle on display, which was perfect as Charleston is currently considering options for their Public Transportation system. 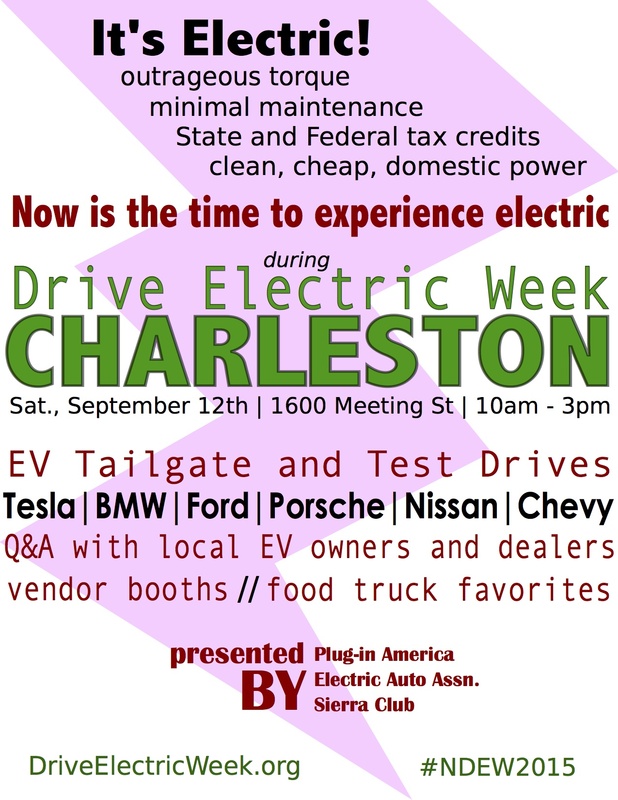 Charleston's first Drive Electric Week event: It's Electric! 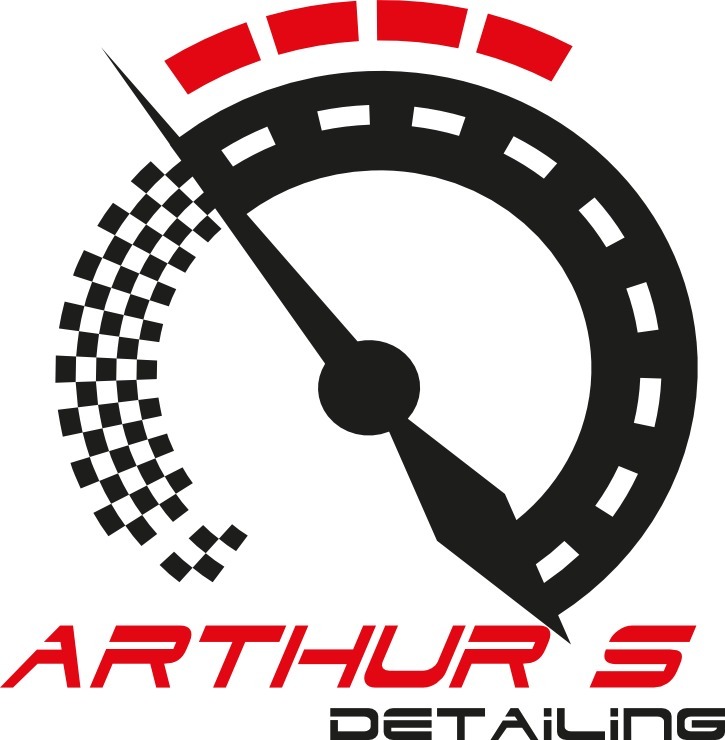 is just around the corner! An "EV tailgate and test drive" will be the main attraction. 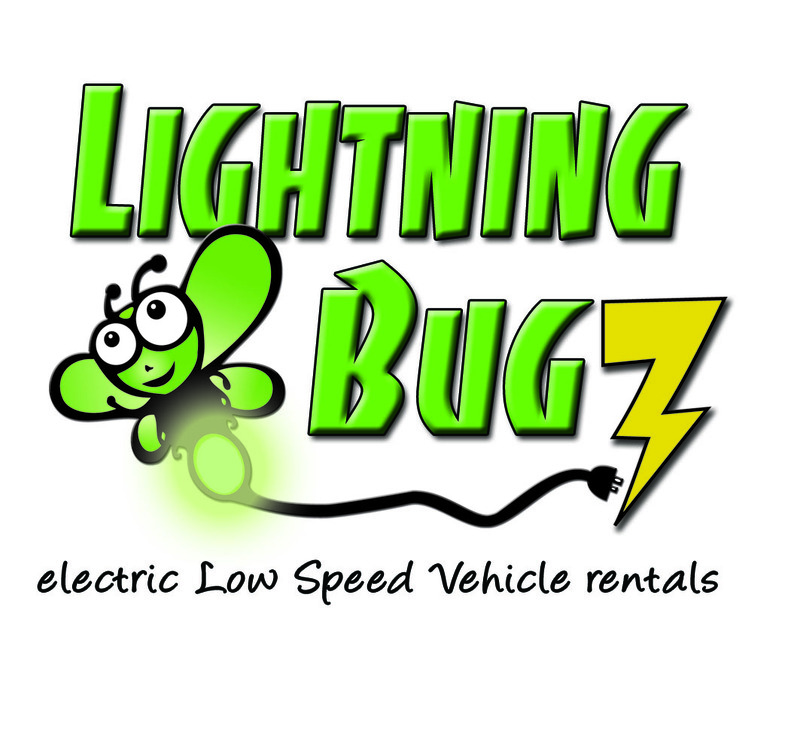 Local EV owners and dealerships are bringing their cars to offer test drives/rides to attendees and to answer questions about EV ownership. 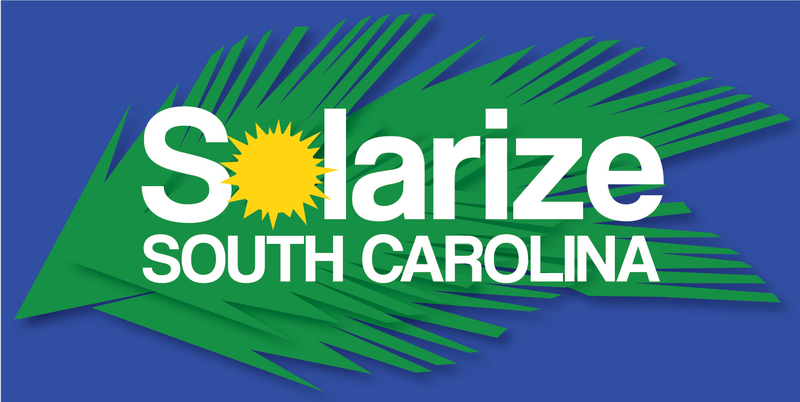 There will be information and vendor booths so that related organizations and businesses (like Sierra Club, local solar installers, EV charger manufacturers, local EV car dealerships, etc.) 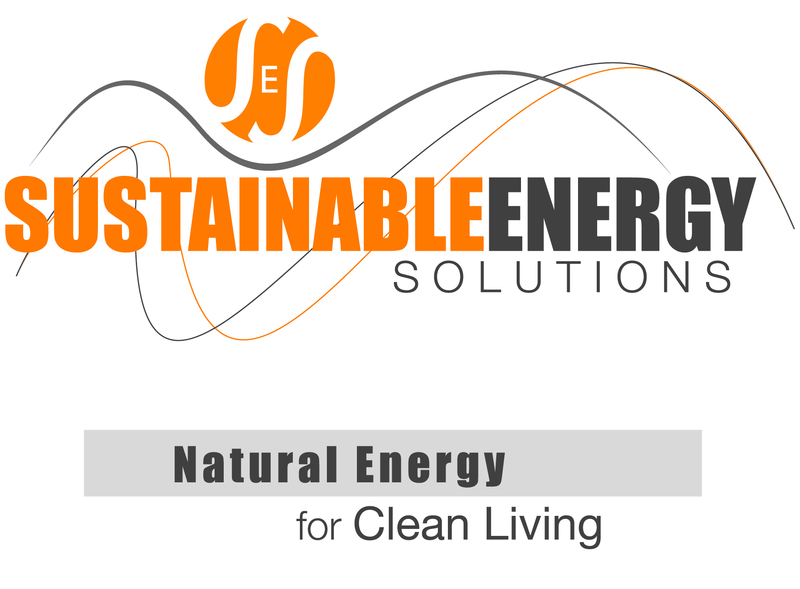 can showcase their products, services, and provide information to the public about the electric lifestyle. Additionally, some of your favorite Charleston food trucks will offer a variety of delicious cuisine options. Thank you to our generous sponsors - come see them at the event! If you are interested in bringing an EV and/or attending the event, please register using the Register button at the top of the page. We also have a Facebook event page for the social media savvy (please share!). If you're interested in sponsoring a booth, please contact the event organizers. There are currently 102 attendees registered. Registered attendees report 425,513 electric miles driven.